PAFF-031 by PA3FYG/p quickly QRT !!! 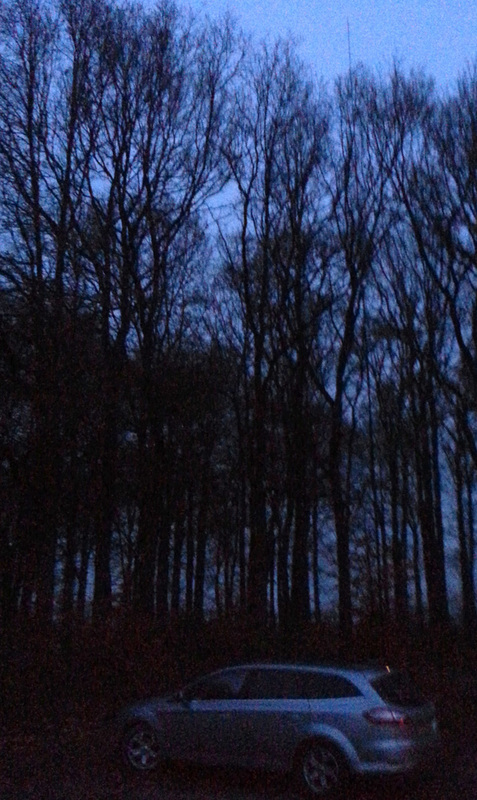 This afternoon I was activating PAFF-031 - Speulder- en Sprielderbos. The weather looked good, about 6 degeees an dry. Starting at around 1200 UTC on 40 mtr with heavy QRM, abt. 46 QSOs. After that much better on 20 m.
Best DX N3 station. Worked about 70 stations. When pile-up was gone about 1345 UTC , I had to break down my station fast, I was attacted by hailstones !!! 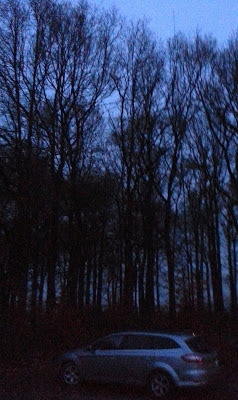 I will activate PAFF-031 - Speulder- en Sprielderbos this afternoon Sunday Dec. 30, starting about 12.00UTC. Starting nr. 7.144 MHz, 14.244 later. I try 21.244 MHz also but antenna not made for this freq. 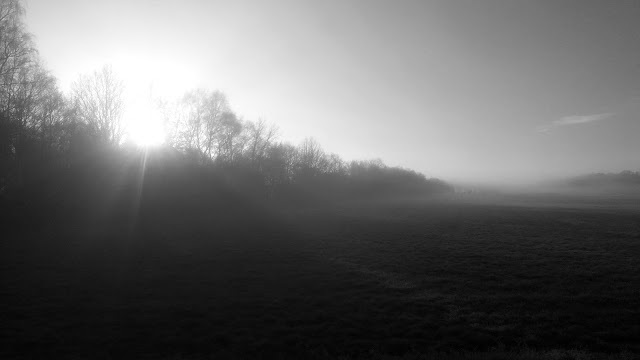 If weather is not to bad I activate PAFF-031 - Speulder- en Sprielderbos on Sunday 30 dec. Steam Pumping Station used from 1883 to 1983. Can still be used in case of emergency when new electric ﻿pump is out of order, hi hi. Some volunteers start it up now and then for general public. To much rain --> My first activation in a car !!! 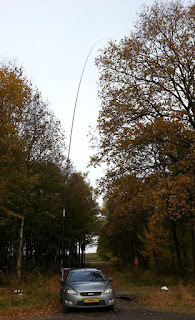 Today December 28th I activated PAFF-044 "Arkerheem" with is near my home-QTH. There was a lot of rain so I did my first activation in a car, normally always walk a bit first. I Used my SOTA equipment as usual including power from LiPo. I was QRV for one hour on 20 m, later one hour on 40m. Also worked a few on 15m, but antenna is not suitable or this band. Best DX : PHoNO in PAFF-058 "Strabant", on 20 m, also heard him on 15 m and 40 m. Distance 90 km, so very hard on all bands, just audible. !!!! ( sri no 80 m antenna ). This is only my 2nd PAFF as chaser, I activated different 25 PAFF now !!. Aso nice to work friend Peter PJ4NX ( ex PA3CNCX ), and W1, N1, K1, OD5,4Z, 9K2. Arkerheem is very important for birds, it is a international wetland. Next week I am in in DL activating some SOTA summits, some are in DLFF. 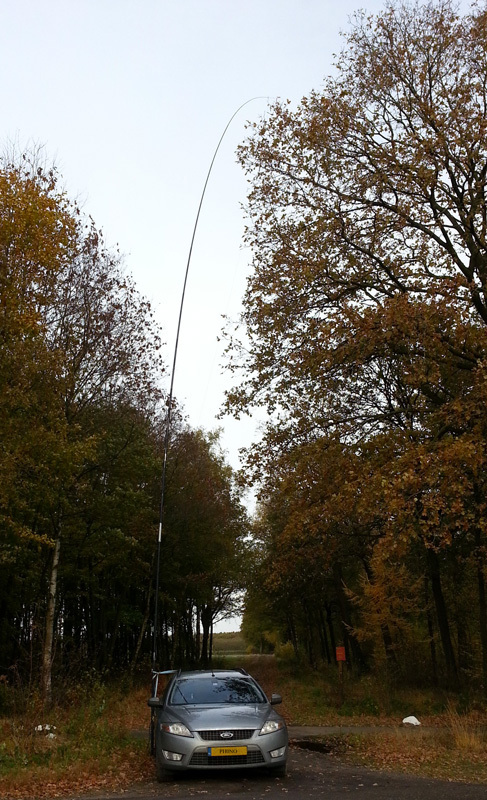 I try to activate PAFF-069 Ugchelen Hoenderloo on 29,30 or 31 Dec or Jan 1. Sorry this one not in this periode, to much rain for nice trip. PH0NO will be active from nature park Strabrecht (PAFF-058) this afternoon (December 28) from approx. 14:00 local time (13 UTC) until 17:30 (16:30 UTC). PAFF-058 has not been activated before. No contest, clear frequency, good location, anouncement before, but no pile-up this time. I was calling a long time on 14.241 MHz, but only worked 13 stations. I worked BA7MY and 7T50I after one call, so I do not understand the lack of qsos. ﻿﻿﻿﻿ 73 de Hans PA3FYG. 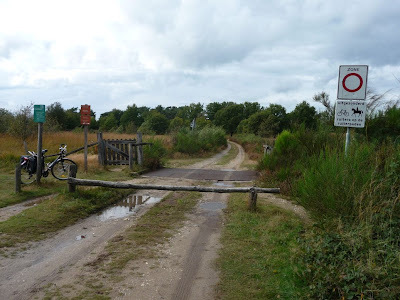 With a gap in my schedule I was able to head over to Maarsbergen last Monday. 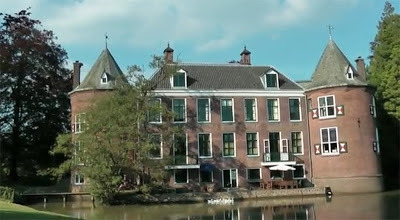 The castle near that town is situated within the nature park Utrechtse Heuvelrug. This makes activating it even more interesting (combining PAFF and COTA-PA). PAFF-018 was already activated three times before (twice by me) but I thought the combination might make it worth contacting for enough hams "out there". The castle is privately owned and not open to the public. It was built in 1660 and is officially registered as monument. I did not plan this activation so I was driving around the castle grounds to find a quiet place suitable for a portable ham. To my surprise I quickly found two usable spots and chose one just outside the castle grounds (in front of a stately gate). This day was the first day it snowed in the area. This makes for nice views but also freezing hands when you try to set up an inverted V. My phone told me there was activity on 15m so I decided to start there using my end fed set up vertically. However 15m turned out to be rather quiet. 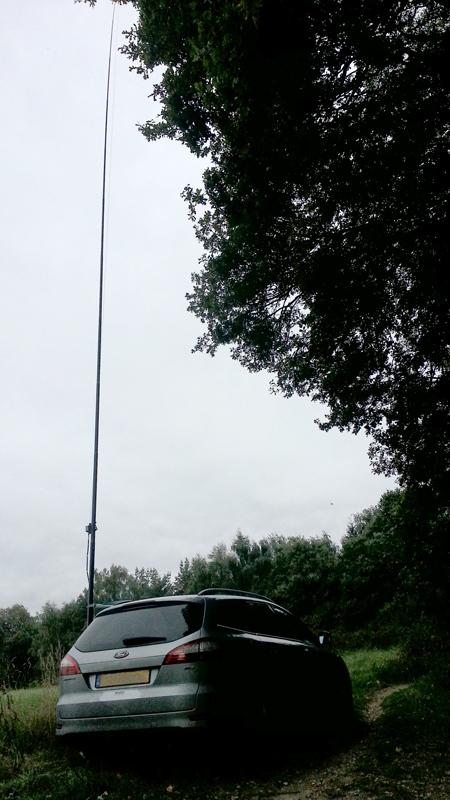 After 3 contacts I already changed the antenna to my 20m end fed. In the next 50 minutes I logged 58 contacts. Then when 20m started to slow down I went out into the snow to set up my 40m inverted V. The performance of this antenna still pleases me a great deal. It was busy but QRM was manageable. I stayed on 40m for more than an hour to log more than 120 contacts. All in all I logged 185 contacts in just over 2 hours of radio time - which shows it was interesting enough indeed. DX was sparse due to poor conditions and came in from the W1/2 (MA, NY), 4X and R9. Graziano IW2NXI and Lada OK2PAY made the trip on two bands. 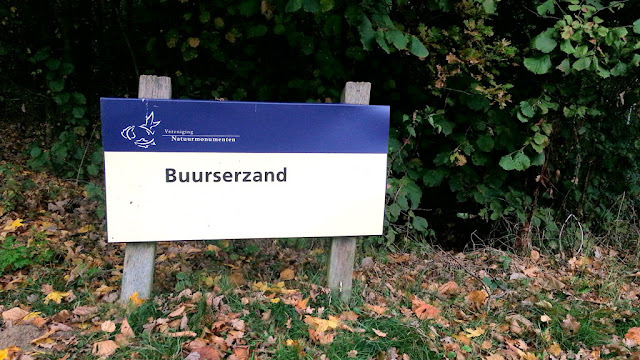 Last Friday I was able to visit Enbertsdijksvenen in the north east of The Netherlands. On my way there it was very foggy. Luckily the roads aren't too busy on Friday so I had almost no delay on my route. Checking the conditions on my phone I saw that there was some traffic on 15m. I decided to start there using my vertical end fed. I found that the band was rather quiet. Working from 21.244 only Ukraine came through with decent signals. After 9 contacts I decided to go down to 20m, changing the vertical end fed for another one. 20m was a different story. Here conditions were reasonable to good with almost all stations between 57 and 59. I logged 88 stations in less than an hour. DX came by from PY, R9/R0 and 4X. When activity started to slow down I changed antennas yet again. This time I set up my inverted V that I used for the first time during the previous activity. I don't know how much the antenna helped and how much the propagations but signals were very loud (almost half of the reports I gave were 9+10 or more) even though the band was not overly crowded. 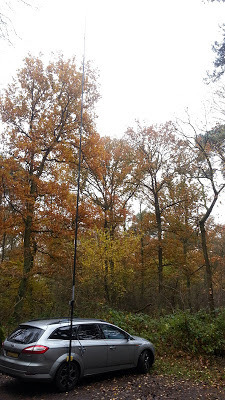 The inverted V takes a bit more time to set up and take down (5 minute change from 15m to 20m and 15 minute change from 20m to 40m) but I am pleased with the results so far. I logged 83 contacts in 45 minutes. Luciano I5FLN and Axel, DL1EBR made the trip on all three bands. 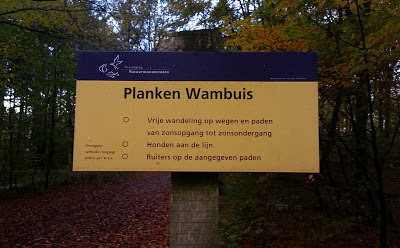 With some time on my hands at the end of the day I went over to Planken Wambuis - PAFF-067 once again. This area had been activated twice before in the last month (by PA3FYG and myself) but I saw 10m was open, so enough opportunity for OMs outside EU to work this one. The first OM to pass by - PY2RAR - immediately set the max. QRB for this activity. He was followed by a number of US stations (east & south coast) and to my surprise by PJ4 and XE. I have not worked these DXCCs during PAFF activities before. 10m was not very busy and seemed to slowly close so after 45 minutes I decided to try 20m. For WWFF activities 20m is normally the most crowded band. This time it was very different. I only worked 25 OMs. It never was busy - maybe because a lot of chasers already worked PAFF-067 before or maybe because conditions weren't too good. So after half an hour I set up my inverted V for 40m (my new /P antenna) to find a very busy 40m band. It was hard to find a quiet spot. Once I was spotted a substantial pile-up grew. Signals were strong with most EU stations at real 59 / 59+10. In total I logged 129 contacts from 31 DXCCs in 2 hours radio time. DX came in from PY, XE, PJ4, W1/4/8/9, R9 and 4X. About 33% were new callsigns to me. Max IK1GPG made the trip on all three bands. 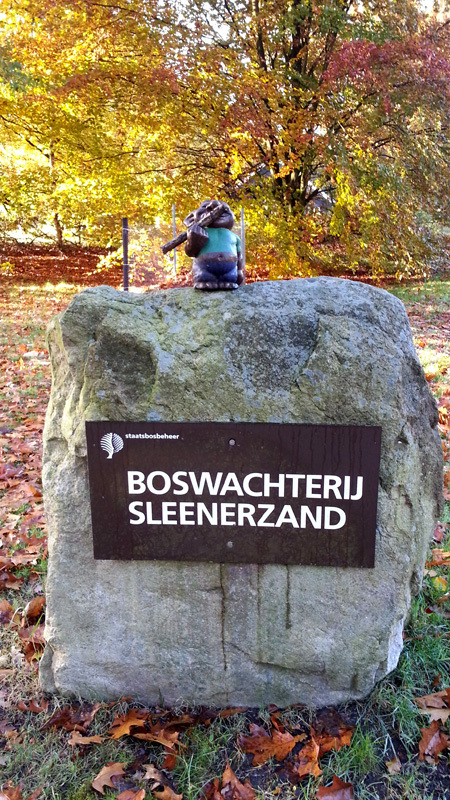 On Monday November 12 I made a trip to the “Leuvenemse bossen”. The trees had nice autumn colours and temp about 6 degrees. 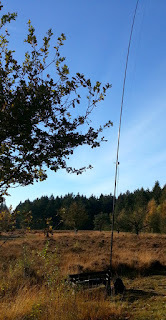 I made a 6 km walk and was QRV from 11.50 to 14.00 UTC. I made about 120 QSOs mainly on 14 MHz. Worked VE3 an W1. On 28 MHz were only weak signals, no contacts. At the end I tried 7 MHZ, but it was very hard to find a free spot, so I only made a few contacts. that I got very cold sitting on the ground, so QRT. 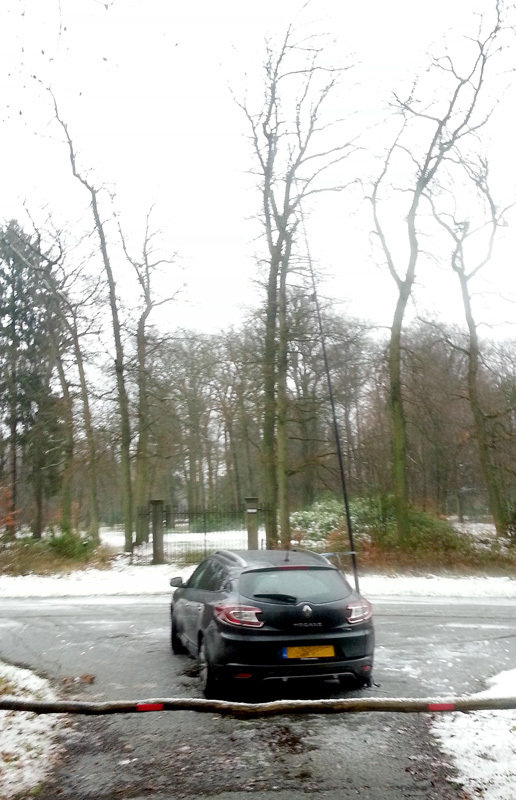 In the forest I could not find a open spot, so my antenna was in the middle of the trees. Activation of Nieuwkoopse Plassen PAFF-057. Yesterday I made a trip to PAFF-057 ( NEW ) and had a successful activation. I had a lot of rain during the 75 min drive trip to the spot, but was very lucky during the activation, even a bit of sun and 7 degrees. I made 175 QSOS on 20m and 75 QSOS on 40m SSB in 125 minutes. 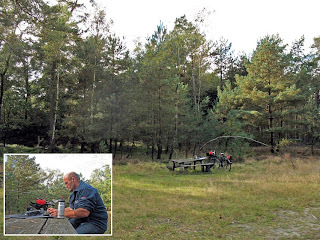 As usual with backpack, FT897D ( 50W ), 12m endfed vertical ( PA3EKE ) and Lipo 5000mAH. One battery lasted 90 minutes pile up. 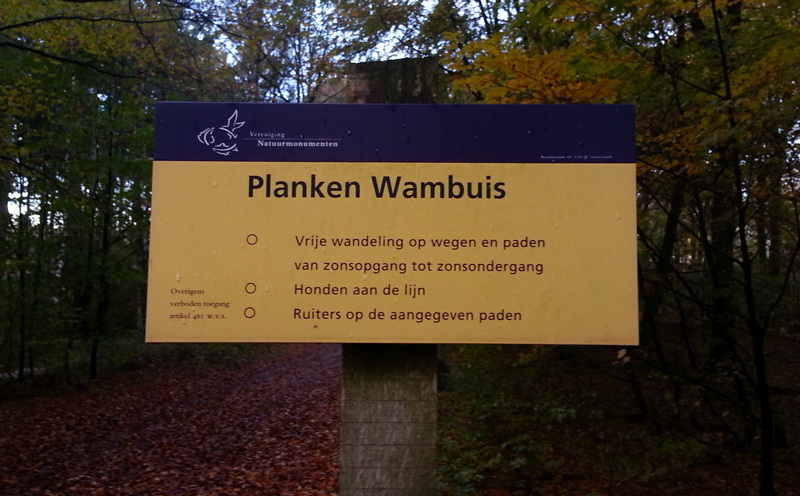 Today on my way home I was able to activate Planken Wambuis PAFF-067. It was already activated two weeks ago by Hans PA3FYG but activity level was not very high at the time. The forest was brilliant with the autumn coloured leaves all over place. 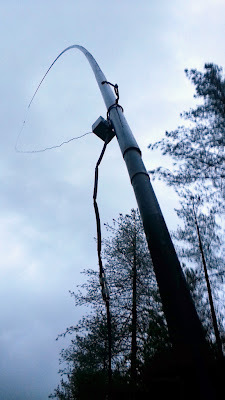 It was rather wet and muddy (antenna pole and wires need a good rinse). The weather was good. On the radio it was not too busy due to weak conditions. I worked on 15m, 20m and 40m. 15m was already closing by the time I started. I could just copy a K0 from Kansas who set the maximum QRB for this activity to 7350km. All in all I logged 107 calls from 25 DXCCs in 2 hours time (effective radio time about 90 minutes). A couple of OMs made it on two bands, only Luciano I5FLN came by on all three bands. On Monday November the 5th I will try to activate PAFF-057 “Nieuwkoopse Plassen”. ( New One ). All is depending on the weather, there is a lot of rain expected. Extra handicap is that this reference is nearly all water and the banking of the roads are not valid. So if there is not dry spot, I have to rent a boat or wait until it is frozen……. As usual I try to use +/-7.144 KHz and !4.244 KHZ ssb. I expect to be QRV after 1300 UTC, and I have to go QRT before 15.30 UTC. Temperature, wind and rain can shorten my activity. I always activate PAFF by foot, and in this case I have to do this also, it looks like there is no road or parking inside the reference. I want to activate this one today. It will be around 10.00-11.00 UTC. 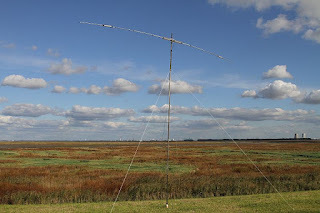 Toni DL1EKO and his XYL Jola DD3JA plan to activate PAFF-048 - Ooypolder en Millingerwaard - on Sunday October 28. 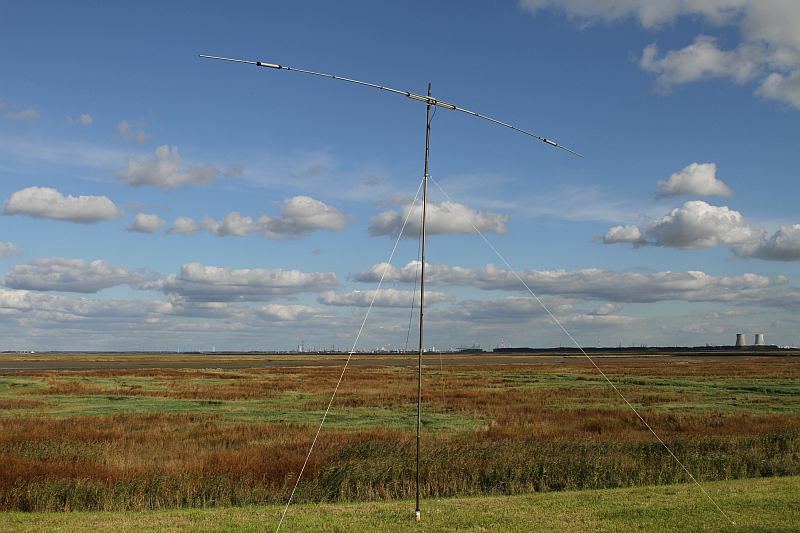 They will be on 40m, 30m and 20m using CW and SSB. On Wednesday 24 Okt I will to try activate PAFF-052 "Naardermeer". This is not easy, >99% is water. When I find a spot it will be around noon. 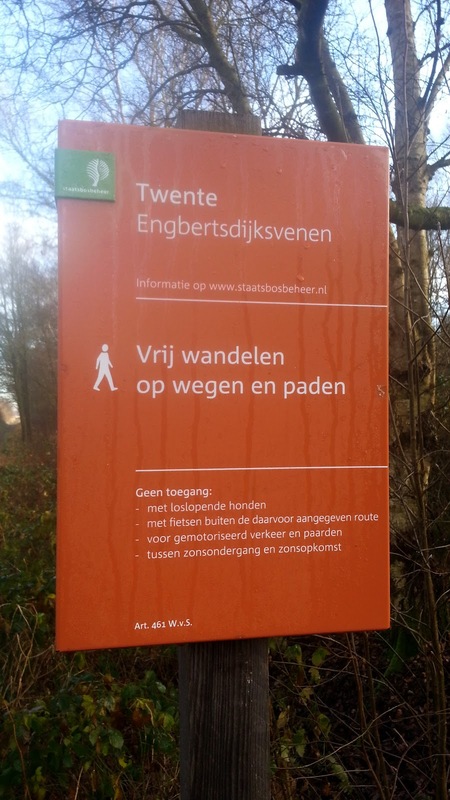 I decided to have a walk with my xyl in "Planken Wambuis" PAFF-067. Time of activation depending on local conditions, around 10.00 UTC? Starting 40m, later 20m and other bands. In the rest of this week ( 23-29 oct.) I will try to activate one ore more new PAFF references. I will mainly work on 40m +/- 7144KHz and 14244KHz. I will start arround 1000 UTC depending on distance and traffic. 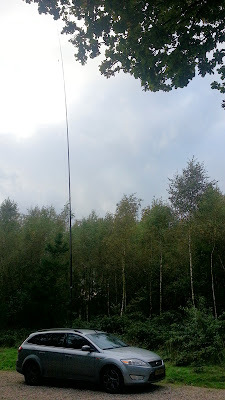 I test the a 12m long HYendvertical from PA3EKE (10/20/40m ) and compare with my 10m vert with 5 mtr symetrical feeder and tuner ( + 3 radials ). 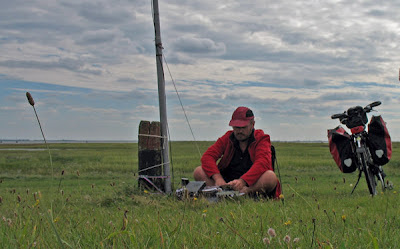 I will work SOTA style, all equipment in bagpack, using FT897D, vertical and 5000mAH LiPo. I will announce details later. Harm PC5Z added another new one to the list in the first week after publication of the new PAFFs. Sunday he went over to his nearest PAFF location for an activity of 3,5 hours. Harm used 20m and 40m and was busy all the time working about 350 OMs. Amongst them quite some DX from the east (UA9, JA, HK and VR2). Harm used a dipole on 20m and an end fed wire on 40m with his Yaesu FT-847 at 100 Watt output..
That is new PAFF reference number 4... 21 to go! The first silver PAFF chaser award has been claimed by SP9BGL with 29 references worked up till now. Today the new PAFF references are published for activation. We have new references running from PAFF-047 up to PAFF-071. 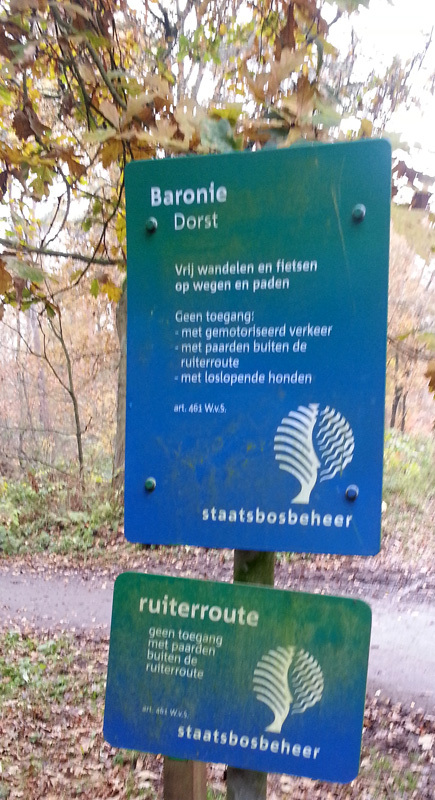 The references are published on this page and of course in our Google Maps file of The Netherlands. Happy activating and happy chasing! In the first weekend of this month JanJaap PG7V was active from Schiermonnikoog - PAFF-017 and IOTA EU-038. 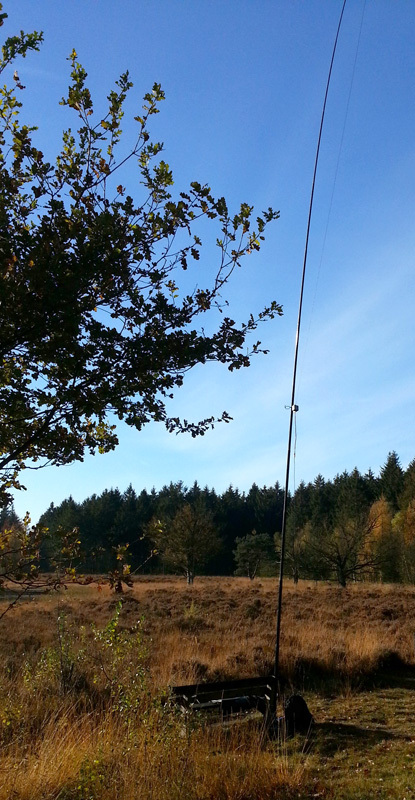 Blessed with good weather he worked CW and SSB on 20, 30 and 40m. On his blog he also describes his activities at PAFF-033 and PAFF-012 earlier this year. As all the nature parks in The Netherlands have been activated at least once there is room for expansion of the program. With the help of a number of PAFF enthusiasts we have selected 25 new parks to add to the existing list. Good news today is that the WFF committee accepted the additions and will publish the new references by the end of this month. The reference and location information will be updated on this website as soon as the new directory is published by the WFF. Jakob OZ7AEI was over at Lauwersmeer enjoying a week of holiday there in July. 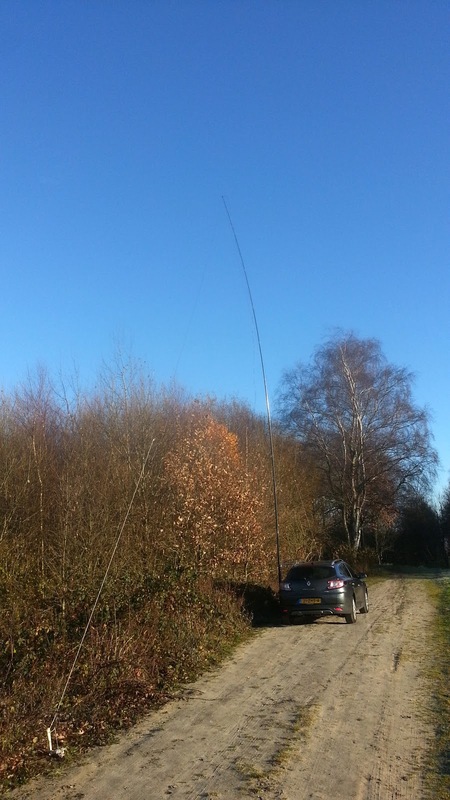 In this week Jakob was on the air four times on 40m and 80m. You can see his setup with two sloping dipoles below. In total Jacob logged 210 calls. 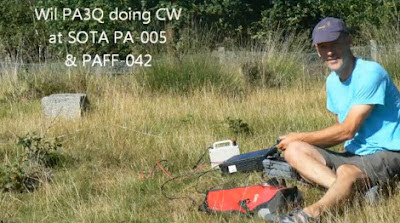 Wil - PA3Q - activated Terletse Heide (PAFF-042) on August 18. The area is used as an airfield for glider planes. The highest point is just over 100m ASL - which is incredibly high for Dutch standards... this top has in fact a SOTA reference (PA-005). Wil has put together a nice little video about the activity. Check out this YouTube link. 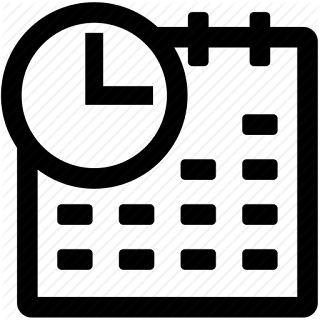 If you are planning a PAFF activity let us know and we will post the info here. We also welcome (links to) reports of PAFF activities. We are launching a new website to promote flora and fauna ham radio activities in PA-land. 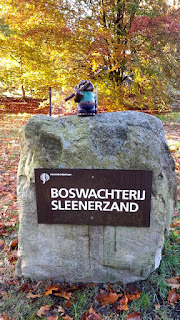 At the moment Hans is working on an extension of the list of nature parks. As soon as we have finalised this list we will launch our award program for activators and chasers. Welcome to the new website of the PAFF program!